The rumours began circulating weeks before the event that Grammy award winning musician and DJ, Skrillex would perform a surprise DJ set at the Glastonbury festival. The rumours proved to be correct when he appeared on the Gully stage in the Silver Hayes dance area. The whole area was packed even though the official announcement was made only hours before and the show was one of the highlights of the weekend. MilTec UK Ltd supplied the bulk of the lighting via A1 Entertainments of Bristol who supplied the complete package of staging, sound and lighting for the Gulley. It is believed that they are the first company to supply the whole package at the festival. All of the Miltec equipment was LED powered and consisted of ten Batten2s, four EPW2 and two EPW3 moving heads, 20 144Q LED pars and two 324W moving head washes. The EPW fixtures were very popular, being used for profile beams, washes and pixel effects. 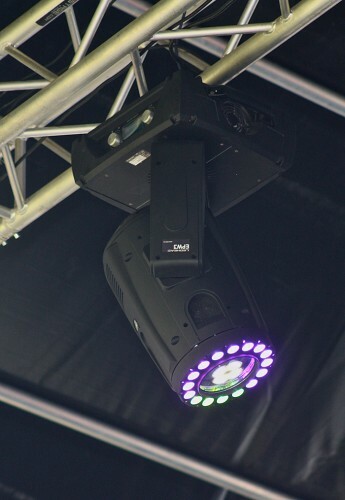 Paul Wilshire, owner of A1 Entertainment commented: "The MilTec products were both innovative and reliable, the unique features on some units allowing me to be very creative throughout the duration of the festival. I even saved on the return costs by buying the Batten2s." The Gulley was a new stage and was used mainly for reggae music, bands and DJs playing almost continually from Friday lunchtime until Sunday evening. Legendary reggae DJ Dave Rodigan followed Skrillex with a set that was broadcast live on BBC TV and Radio One.